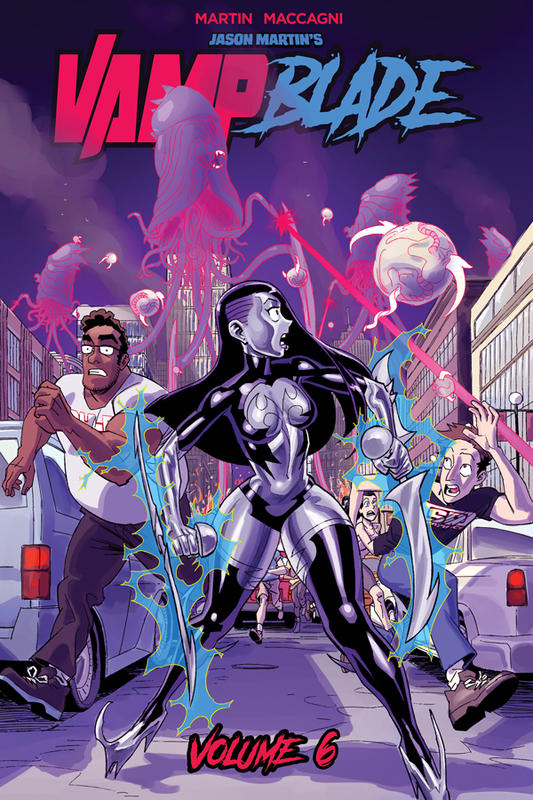 Taking place directly after the events of the outrageous DANGER DOLL SQUAD crossover, Katie is ready to go back to her life at the comic shop... unfortunately for everyone, her other-dimensional foes the Glarkians have started an all-out invasion that spells disaster for Detroit! Will Katie be able to save her home or is it already too late? If you thought the threat was real in DANGER DOLL SQUAD, the stakes have gotten a lot more personal in this latest volume with Katie's family, friends and all of Detroit caught in the space vampire crossfire. Don't miss out on this reality-shattering finale to the second season of VAMPBLADE! 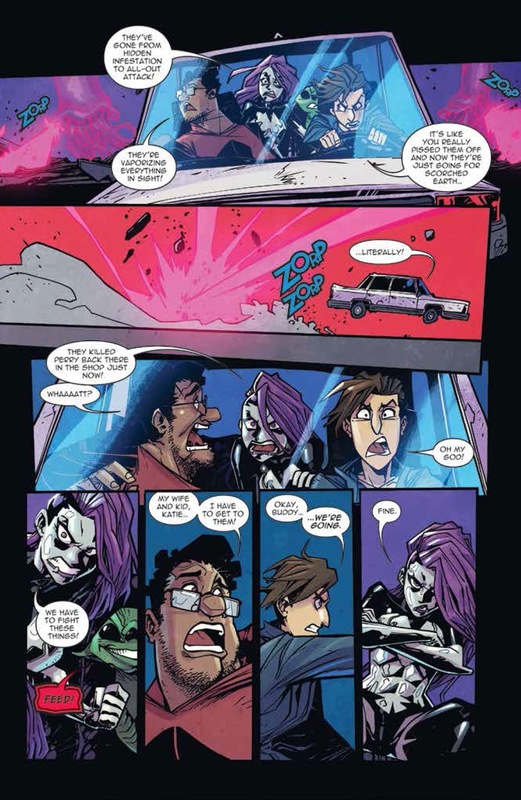 Creator and writer Jason Martin comments, "Winding down season two of the series, and on the heels of the DANGER DOLL SQUAD events, we’re really putting our heroine through the wringer both emotionally and physically. I hope fans, from this series and the recent DANGER DOLL event, will find this story as exciting and unexpected as I found it was to dream up! 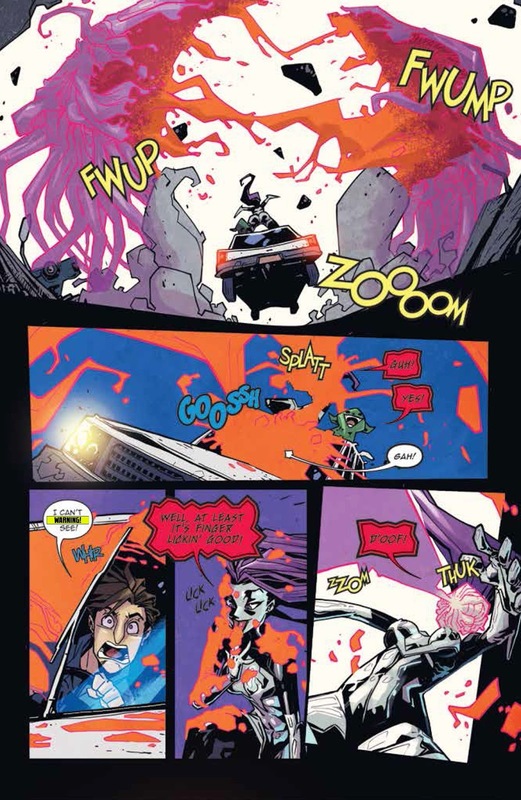 VAMPBLADE is a wild ride, and this volume is what we’ve been building to for the last two years!!" This is perfect for fans of DOLLFACE and ZOMBIE TRAMP who want to see what happens next after DANGER DOLL SQUAD. 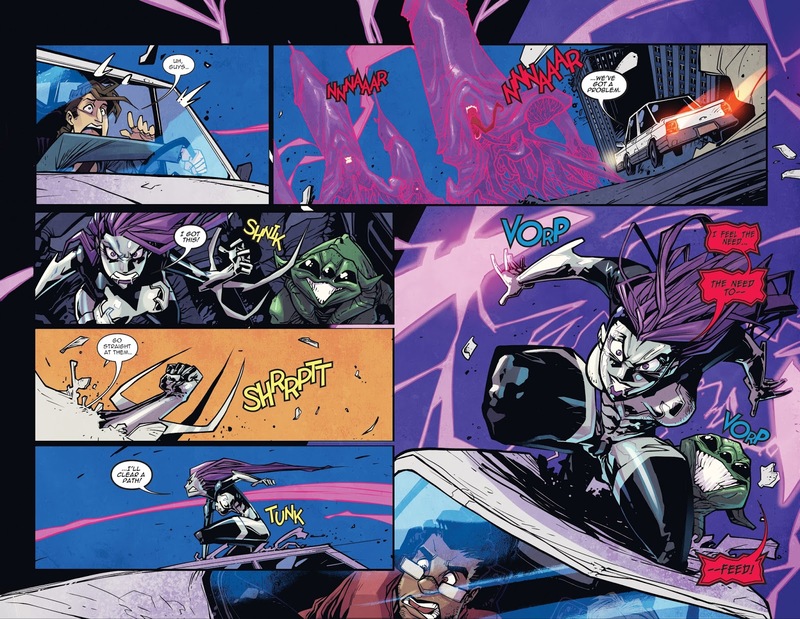 VAMPBLADE VOLUME SIX collects the third story arc for the second season of the hit Danger Zone series. Preorder it with the Diamond item code JAN181128 and look for it in comic book stores on March 28, 2018.